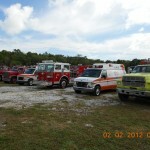 A 1990 Chevy C-65 Pumper was donated by the High Point Fire Department in North Carolina. Nicknamed “Ariel” the truck can hold up to 750 gallons of water. 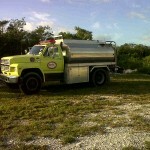 After the many challenges of lack of access to water supply while on emergency calls, SEEP decided to purchase a water tanker to support the firetrucks. The tanker holds 2000 gallons of water. 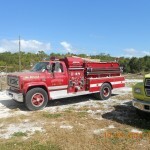 SEEP’s Fire Truck, a 1982 Sutphen Deluge Pumper aka “Beauty” holds up to 500 gallons of water.